You won’t believe what PIP Turned into a Custom 9’ Inflatable! Posted 11-18-2014 by Dale Bohman. I tell my customers to never be afraid to ask or share ideas that they have. 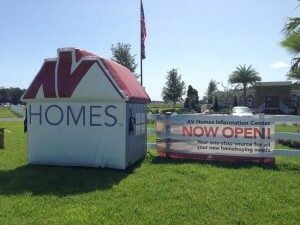 AV Homes came to me and asked about getting an inflatable for the front of their Information Center, and if they possibly made them in the shape of a house? 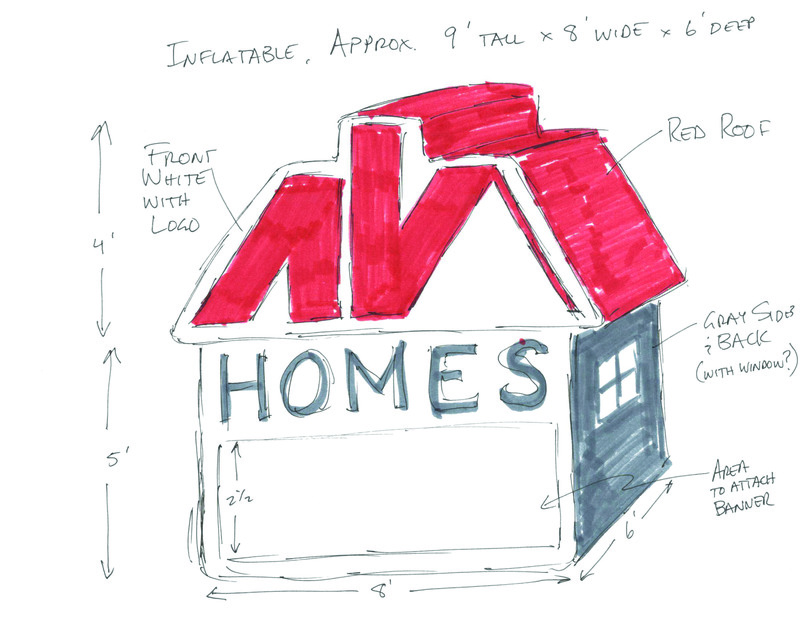 At PIP, we like to exceed our customers’ expectations, so I asked what they would think about turning their logo in to a 9’ tall inflatable house with their logo as the roof (it’s shaped like a roof as you can see). Our concept drawing for the custom inflatable. I started with a quick concept drawing to give them an idea of what we could do…they loved it and approved the project. We also worked in an area on the front with rings for attaching banners when they wanted to add a message to the front of the inflatable. 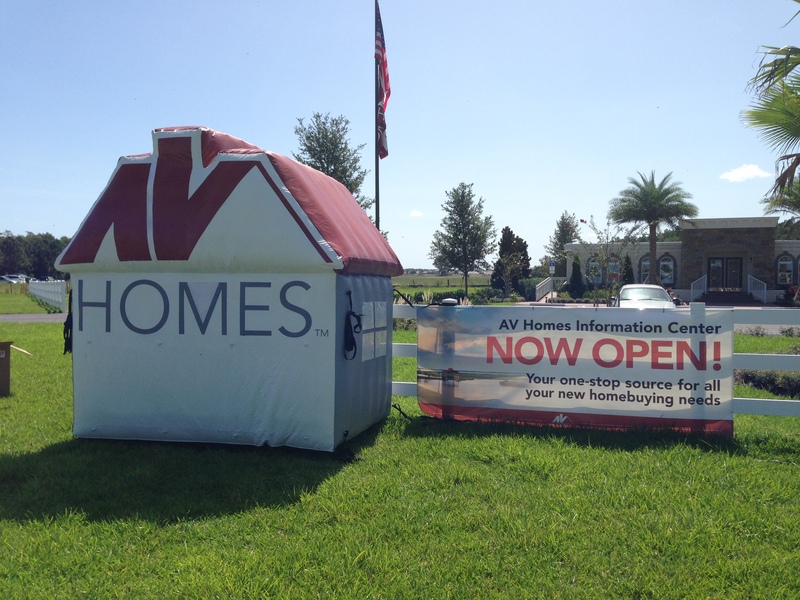 We worked with a custom inflatable manufacturer to develop the rendering into the actual inflatable. Several weeks later we delivered the finished product that is seen below and the customer loved it. Marketing is about delivering the unique and impactful message in a way that your customer or prospect will remember. At PIP we work to make sure that everything our customer do works to the best effect possible. We may even challenge your request and present alternatives using new technologies and practices that you may not have considered. In the end when you are more successful, we are more successful.